Graphic undercover video just released shows sharks being fined alive and beaten with bats by fisherman off California. The footage was filmed by an undercover animal activist who posed as a videographer and smuggled hidden video equipment onto commercial fishing vessels. The unidentified activist was aboard two boats, the Albatro and the Margert O, between December 2016 and December 2017. “I convinced them to let me on and openly film a lot of the routine fishing work that they did, and whenever there was a violation they would tell me to put the camera away and I would switch to covert gear,” according to the activist, on condition of anonymity, as reported by the Mercury News. The video was filmed on three trips, two of which were taken near Santa Barbara Island and posted online by the Los Angeles-based group Mercy for Animals. Snippets of the footage show a dead sea lion and dead dolphins being hauled aboard a vessel in a drift net. The nets can stretch up to one mile as they float in the ocean and can descend to 100 feet. 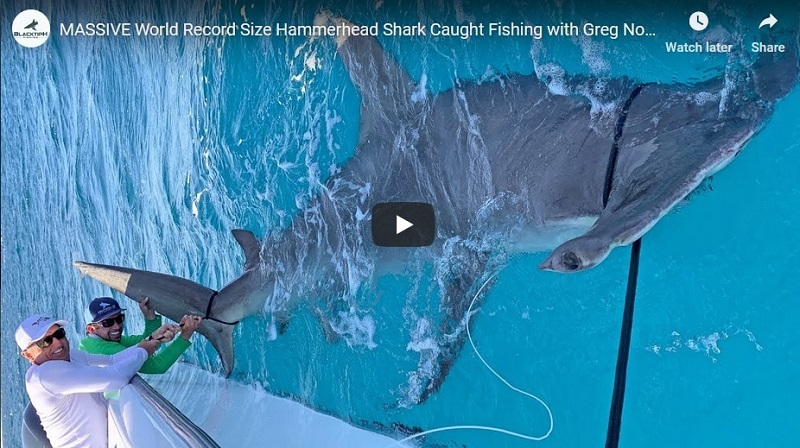 In one disturbing clip, a shark is bludgeoned with a baseball bat, and another shows what appears to be a live thresher shark struggling on the deck of a boat after being finned. Commercial drift net fisherman Gary Burke said that the state’s fishing industry has begun using nets with larger openings and acoustic devices to help prevent dolphins and other sea creatures from entering the nets. Burke did tell the Mercury News he disagreed with several of the events shown in the video and blamed them on ill-informed crew members. The video was turned over to investigators with the National Oceanic and Atmospheric Administration (NOAA) who will be looking into any violations. Those interested in more information on drift nets are encouraged to read a more in-depth article at The Mercury News.